Are your kids bored with summer vacation yet? I know there are camps and friends and stopping the summer slide. But even with everything you add into the schedule, there’s still a desire for more! 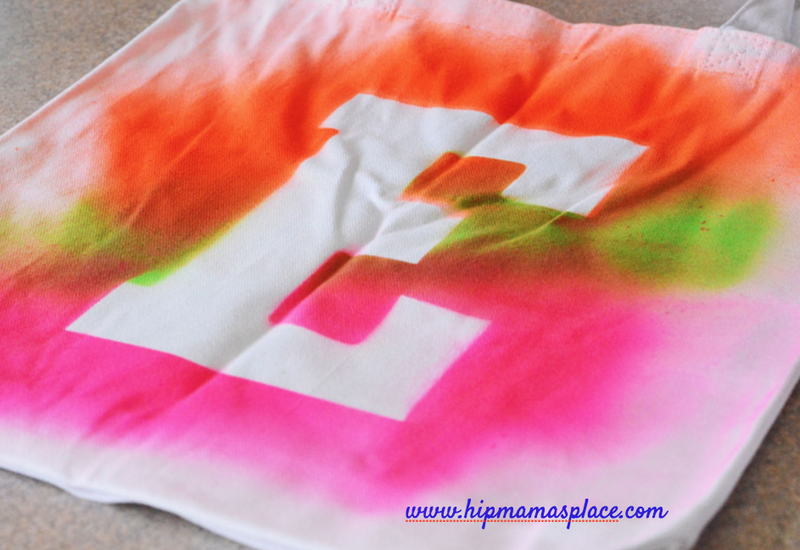 Here’s a fun craft for kids to do this summer! Whether you have a dancer or gymnast, a book lover or a general nerd, the fun thing is that this craft is practical and can entirely be customized to your child’s personality! There are tons of plain gym bags available online. While vinyl cinch sacks are the least expensive, I recommend one made of cotton, hemp, or canvas because the paint, glue and glitter stays better. First things first, you need to decide on your design, you may want to “draw” it out on a piece of paper so you know which elements you want to include in creating your custom gym bag. 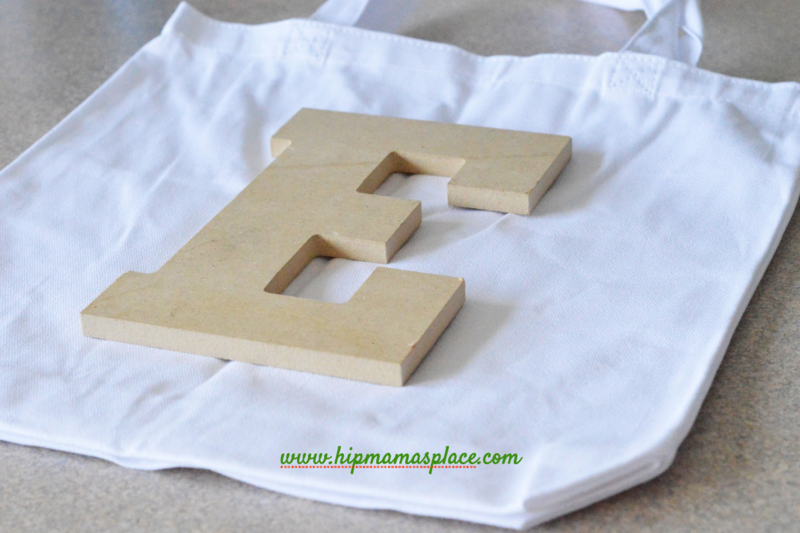 Lay your bag out on a flat surface and place your stencil or letter in the middle of it. If need be, secure it in place. 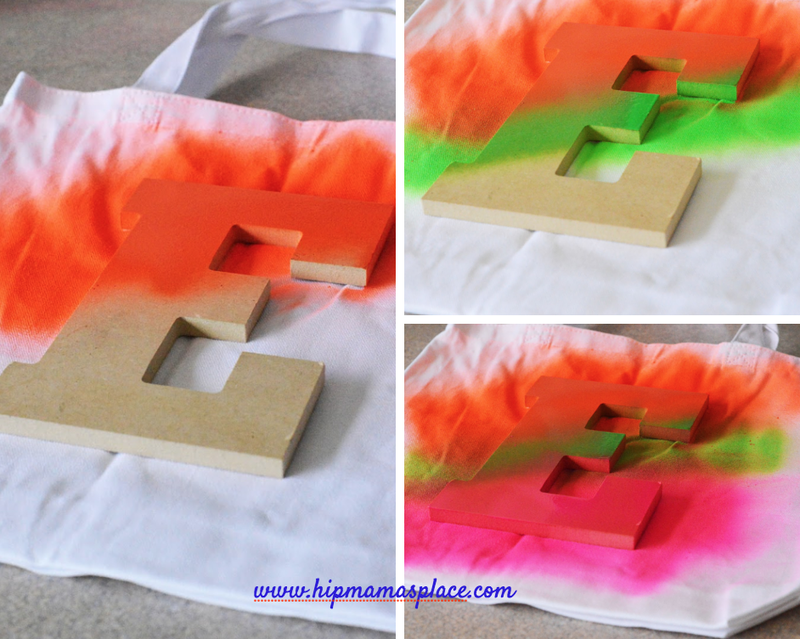 Next, take the spray paint color of your choosing (we used neon pink, green, and orange) and spray it diagonally across the stencil. Repeat this with however many colors you desire. Remember to only spray a portion of the letter with each color and not the entire thing. If you do, your colors will end up merging and end up being one brownish, dark grey, blackish-color that won’t be the colors you were you hoping for! 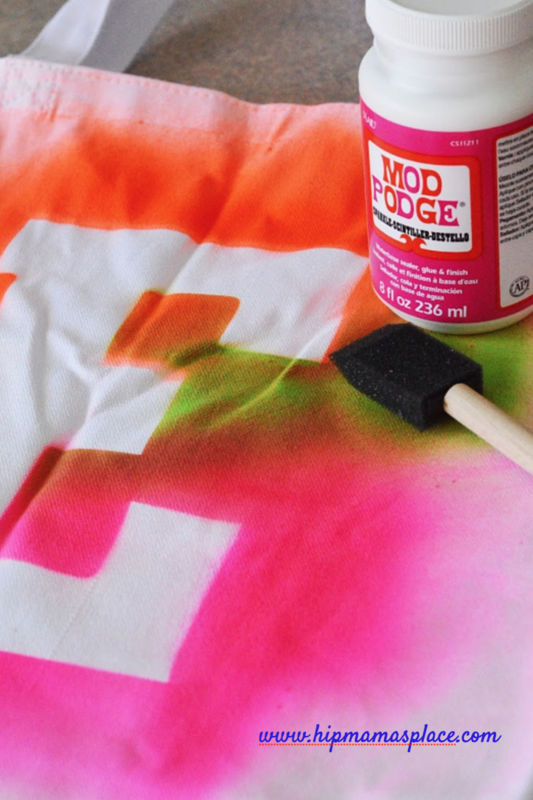 Before you remove the stencil, wait at least 5 minutes to ensure the paint has dried. Decide where you would like your glitter and use your foam brush to cover that area in glue (we used mod podge). 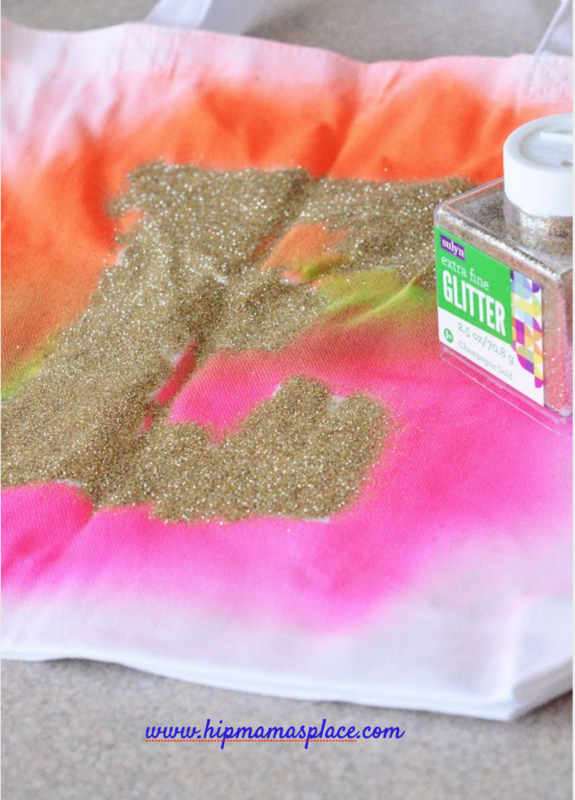 Immediately begin sprinkling your glitter over the glue. Let it sit until the glue dried and then shake it off in the grass or a trash can. If there are some bare areas, just add more glue and glitter. Remember not to put glue where you don’t want glitter. You can add additional touches and flair to create the design of your choice. Whether you make one for yourself, or one for a friend, it is entirely custom and unique! 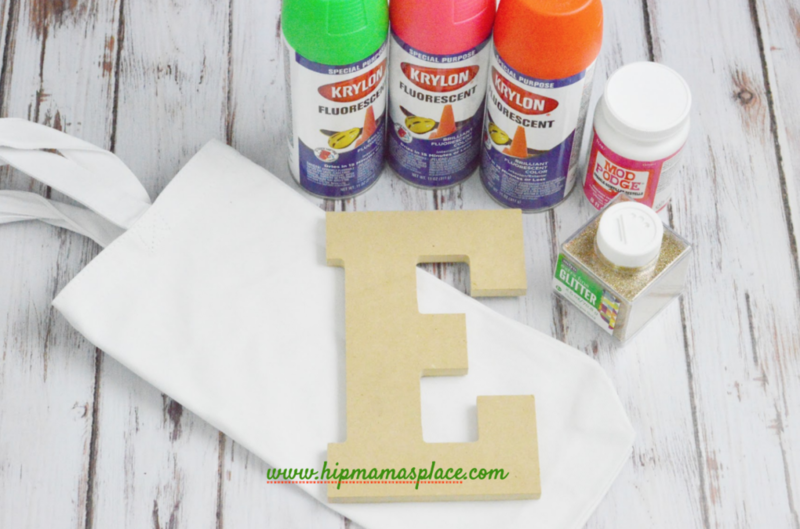 This also makes a fun birthday party craft! Do you have a summer party planned? 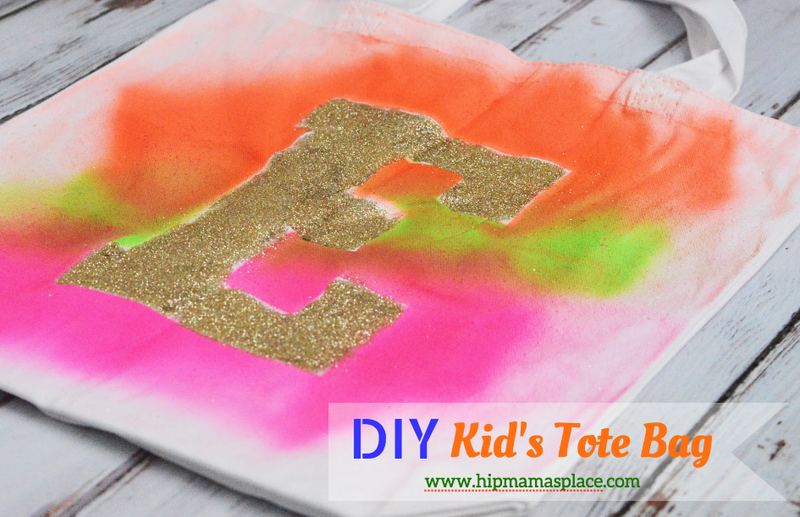 Do you think you’d like to include this DIY Kid’s Tote Bag craft? Let me know! This is a nice idea. I will show this to my sister, she loves making DIY bags for her kids. So fun. All of the kids would love to do this one. I love that you used glitter! This has glitter….need I say more? 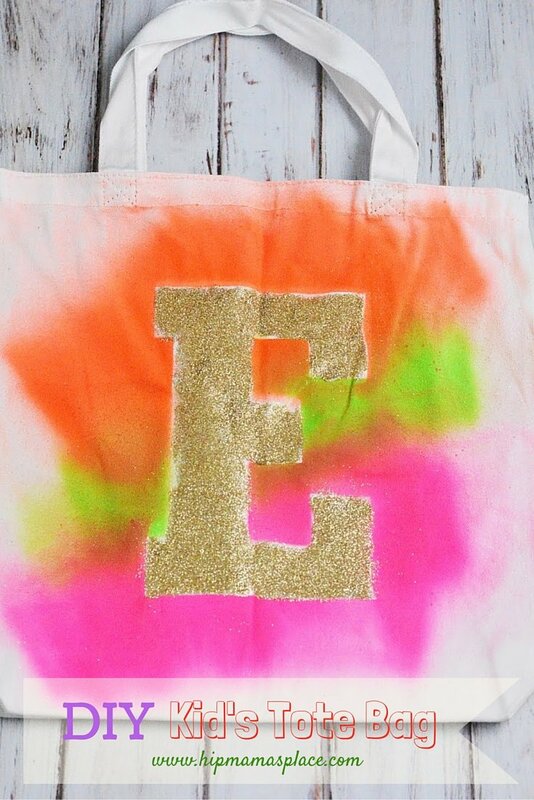 Glitter makes everything perfect haha Love this idea! This is a very cute project. I will have to store this one to do with my niece. That’s super cute!!! You could make these for a party or even as gifts. So simple and fun too! The tote bag turned out awesome! I wish I had at least a fourth of your creative talent! I would want to have one like that myself. Those are some cute results! I love DIY stuff like this, especially with designing clothing and accessories. No one’s too early nor too late to start bringing in some fashion sense! What a great craft. I have learned a long time ago that you can never have too many tote bags. It’s fun for kids to make their own so they can make it look just how they want it. This would definitely be a fun summer bag for pre-teens to make. I love the ombre/tie-dye effect of this! Oh, this is a nice idea. I will see if I can find a letter “M” for my son. Or should I make a DIY cardboard stencil, I wish I can! What a cute idea. I love the personalized letter. That would be so perfect! What a fun project! I’m not that crafty. But even I think I can attempt this. This would be adorable for Summer camp! What a great idea! My daughter would love this idea, especially since she’s getting into sewing/fashion. What a super great and easy way to keep kids entertained as we wind down the Summer break season. I love these ideas so much! OH I wish I saw this before camp. It would have been perfect for the kids to take to camp. Maybe for school? This is such a cute craft. I love that it is useful, too. Who doesn’t need a tote bag? What a cute idea. I want to make one for each of my kids.